Roy Rogers Restaurant’s success is founded on two principles – quality food and quality people. We are currently seeking motivated, energetic people who have the drive to deliver the highest level of guest service and the ability to lead and train others to do the same. Interested in a new career? Check out our Career Center. 2016 Frederick County Best Places to Work, recognized and presented by the Frederick County Chamber of Commerce and the Frederick County Development Office. 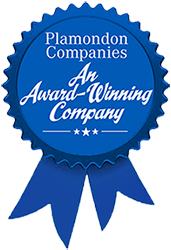 2015 Honorable Mention Frederick County Best Places to Work, recognized and presented by the Frederick County Chamber of Commerce and the Frederick County Development Office. 2013 Frederick County Large Employer Diversity & Inclusion Award, presented by the Frederick County Society of Human Resources Management.